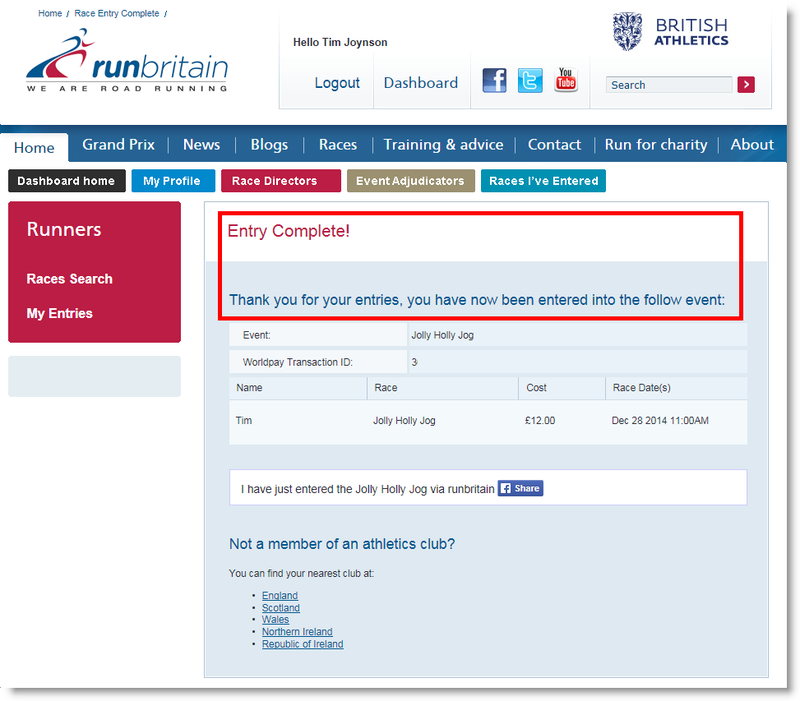 A confirmation on the runbritain website after making your payment (click the thumbnail to see an example). An email from your credit card company to confirm receipt of payment (not shown here). 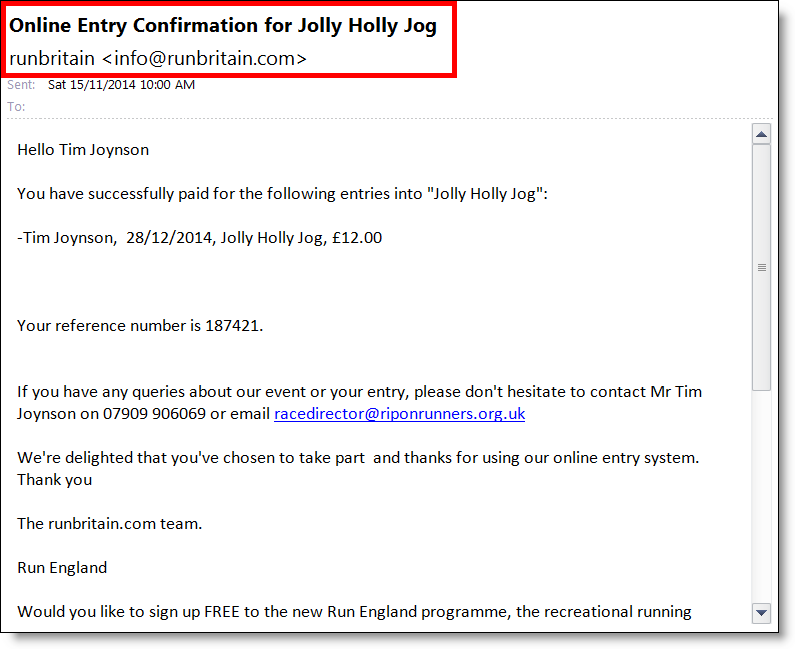 A confirmation email from runbritain. At the moment this does not provide race day information. Please refer to the JHJ page, Ripon 10 page or Burn Valley Half page for that detail. (click the thumbnail to see an example). If you didn’t receive one or both of these emails, please check your email spam folder first and if they aren’t there contact the . We use the runbritain online entry system, which strictly validates your EA registration. If your number is not accepted it probably means that your affiliation fee has not been received and processed by EA. There can be a number of reasons for this and the first step is to check that your affiliation fee has actually been sent to EA by your club. If that is the case then you, or they, will need to contact EA.